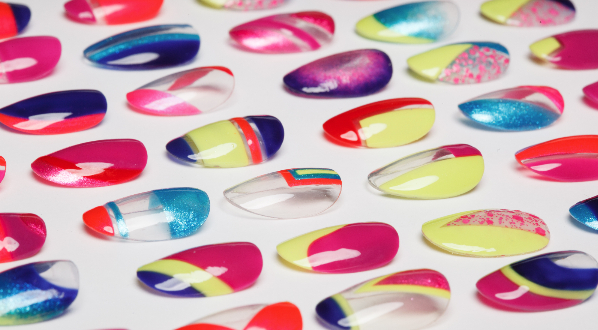 August marks the 5th birthday of the sparkling nail color company, KBShimmer. THE GRAPE BEYOND and WOULD JUBILEE IT! Celebrate with us with the special release of these colors on August 8th. KBShimmer.com will be having a 20% off SALE from August 8th to August 14th. Shipping deals begin on August 15th. KBShimmer The Grape Beyond is a matte purple with turquoise shimmer. A bit streaky on the first coat, but have no fear, it's perfect with the second coat. The formula is really easy to work with. 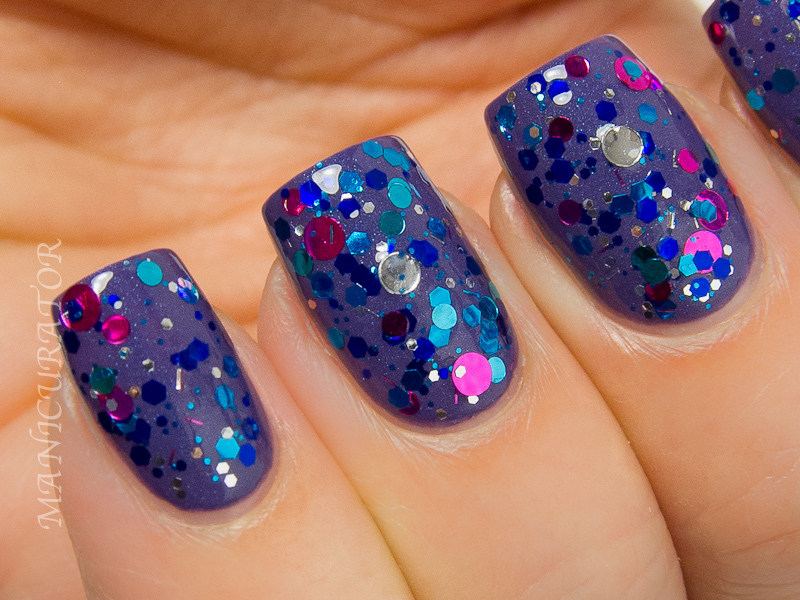 This one was designed to accent the glitters in the next shade, Would Jubilee It? I don't own anything like this, and it looks just stunning on! KBShimmer Would Jubilee It? A glitter topper filled with Christy Rose's favorite glitters! It really did feel like a celebration on my nails!! Circle glitters in fuchsia, aqua and silver, hex glitters in sapphire and turquoise, and micro slices in fuchsia, aqua and silver. 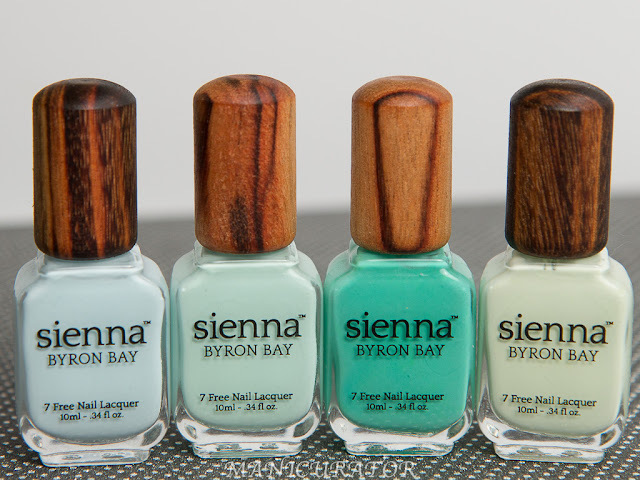 I used one coat here, and yes, it goes perfectly with this base color! Of course it would also look good over many other colors as well. How fun is this pair? 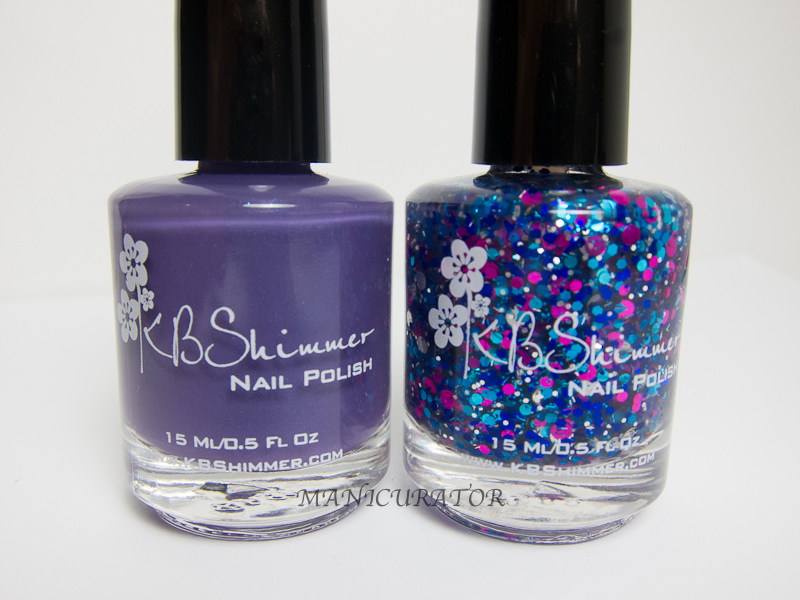 I'll remind you, if you ever wanted KBShimmer products, now is the time. They are having a site-wide 20% off sale this week!! woot woot!! Are you going to scoop these up? So pretty on you!! I got my samples today...I can't wait to get them on my nails now! Thanks!! She really is amazing, always hits the mark and always perfect formulas. What a lovely duo! It looks gorgeous together! Aren't they both so pretty? Just beautiful! That matte finish and the Circle glitters. Amazing!